I wanted to let you in on a few exciting things happening right now with Winter Promise. As you know, I purchased the World History: Quest for the Ancient World (read more of my thoughts on that curriculum here) recently for our new school year and LOVE it. So, I’ve been collaborating with the author and have started doing a *little* bit of social media and blogging for them!! I wanted to let you all know that I do NOT plan to inundate THIS blog with WP stuff! 🙂 I will keep blogging about the same things here…while I do hope to share how our year goes with WP, I do not plan to turn this blog into a big advertisement for them. That said, I wanted to take this post to let you know of a few freebies and an offer to get involved if you wish! 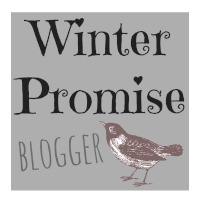 Check out the blog and these awesome freebies if you would like to TRY OUT Winter Promise! If you would like to spread the word about Winter Promise, please fill out this google form and we will be in contact!! Would you like to join us?? Also, be sure to check out the Winter Promise Pinterest boards! They are fabulous!